We are glad to announce that our new website @ https://hdx20.io is now live. During the last few weeks, we have been actively working backstage to bring not only a new website which will unit everything as we are moving toward the direction to have more exchanges in the future but also the necessary foundation for the integration of a custom trading bot which will deliver additional stream of incomes to the HDX20 platform, that trading bot is currently under development, stay tuned for more updates and announcement soon. 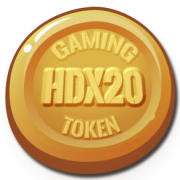 https://hdx20.hdx20.io/wp-content/uploads/2019/03/hdx20token-1.png 292 297 hdx20 https://hdx20.hdx20.io/wp-content/uploads/2019/03/hdx20token-1-180x180.png hdx202019-04-10 15:58:592019-04-10 15:58:59HDX20 new website is now live !